► QUICK, STRONG, & LONG LASTING! – Apply CBD GoldLine anywhere you experience Pain, Discomfort, Tingling, or Numbness including your Back, Neck, Knee, Hand, Foot, etc… CBD is recommended for use on its own -AND- is safe to use in conjunction with complementary therapies such as Heating Pads, Ice Packs, Arthritis Gloves, Back Pain Massagers, Tennis Elbow Straps, Carpal Tunnel Braces, Fibromyalgia Supplements, Neuropathy Socks, Sciatica Cushions, Tendonitis Supports, Bursitis Braces, etc. ► THOUSANDS OF CLIENTS WORLDWIDE – Sufferers in over 100 Countries have now discovered this Breakthrough CBD Formulation. Just 2 or 3 years ago CBD was truly The “Best Kept Secret” in Pain Relief. The WORLD now knows about this amazing formulation. CBD GoldLine frequently becomes Back-Ordered…DON’T WAIT! Order your supply of Pain Cream TODAY! ► BREAKTHROUGH FORMULATION – CBD delivers Clinically Proven Ingredients along with Methyl Salicylate 12%, Camphor Cannabidoil, Menthol Methylparaben, Paraffina Polysorbate 20, deep into affected areas. Made in the USA / Non-Greasy / Non-Staining / NEVER Tested on Animals. Now Benefit from even Faster Shipping & Lower Prices on CBD GoldLine! ► YEARS OF CBD PRODUCT RESEARCH & DEVELOPMENT – Remarkably, CBD does not simply “mask pain” with artificial cooling/warming ingredients found in less-effective, outdated formulations. 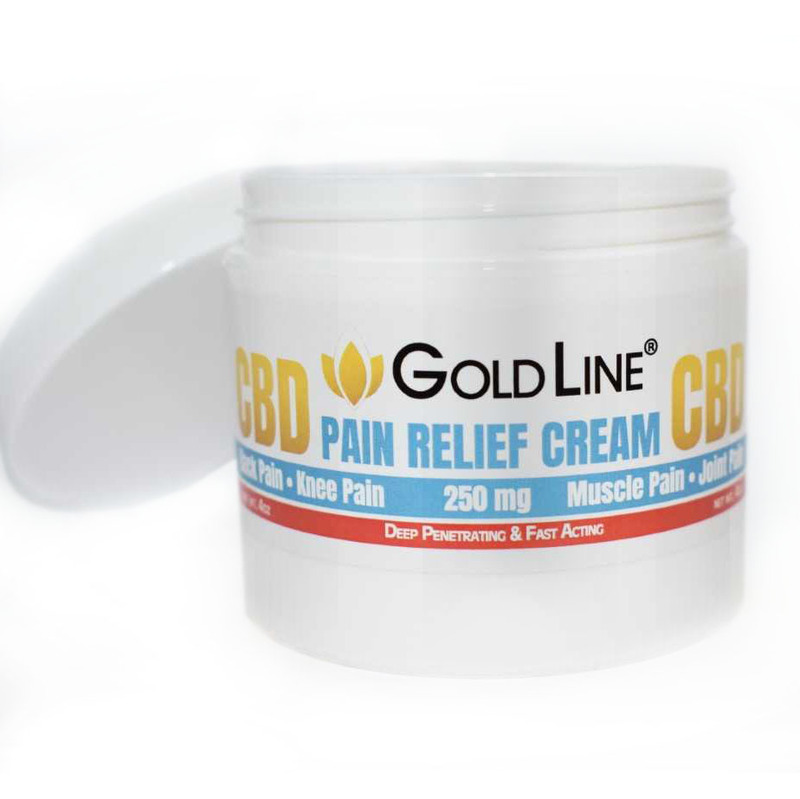 Instead, CBD GoldLine Pain Cream achieves Breakthrough Results by attaching to the endocannabinoid receptors that Cause of Pain (inflammation).